At Square One Dental, your family’s dental needs are important to us. At our family-friendly Mississauga practice, our dental team offers conservative yet comprehensive dental services to help families receive the care they need in one practice. From cosmetic dental treatments to emergency dental care, the dentists of Square One Dental are here to help you smile. We understand the diverse needs our patients have in regards to their smile, which is why we offer a range of services with various specialists in our office for an accommodating dental treatment experience. Together, our Mississauga dental specialists work towards a common goal: to provide every patient with comprehensive care for lasting oral health. Your family is in good hands at Square One Dental. We believe in doing our part to provide a safe and healthy environment for our patients. From integrating the latest dental technologies to metal-free restorations, dental care at our Mississauga practice is performed with your best interests in mind. We believe that patient education plays an important role in attaining a healthy smile. At Square One Dental we explain thoroughly our treatment methods and procedures for your understanding, creating a trusting bond between patients and our dentists. By teaching and emphasizing the importance of at-home oral care, we can help ensure lasting oral health for you and your family. At Square One Dental, our dental office is accommodating, relaxing, and inviting to all of our patients. We offer a children’s corner to entertain our younger patients before their dental appointment and televisions in the waiting area. Our operatories are equipped with televisions to provide comfort and distraction before and after your appointment. 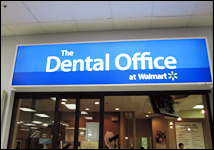 We are a paperless office that utilizes digital technology for a simple and easy dental visit. Contact Our Mississauga Dental Office Today! If you are looking for a family dentist in Mississauga, look to Square One Dental for preventative and comprehensive services for your whole family. Our family-friendly team is here to provide treatment options that serve your unique needs. Contact our Mississauga dental practice to schedule your next visit today!